Broken Screen Touch! Play a prank on your friends with this little app. Perfect for April Fools' Day! Just start it and give your phone to a friend.When he touches the screen a crack will appear exactly where he touched the screen, so that it appears he broke, cracked or destroyed the screen. Up to 9 cracks can appear if he contiunes touching. 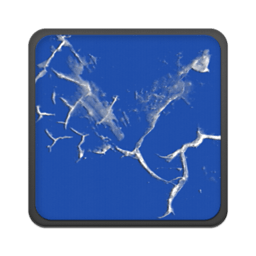 To look real a real cracked or broken screen, the app overlays your current screen. You can quit via your back button or the integrated menu. Features:- Overlays current screen- multiple crack layouts- switch between different crack collections/images- ADS CAN BE HIDDEN VIA MENU!- Sound- Vibration Options:- maximal amount of cracks- threshold of touches until cracks appear- sound and vibration settings Contact me for improvements! Please add your android version and your phone when you experience a bug. I'm also very happy when you contact me via e-mail to sort out bugs. Thanks in advance :).